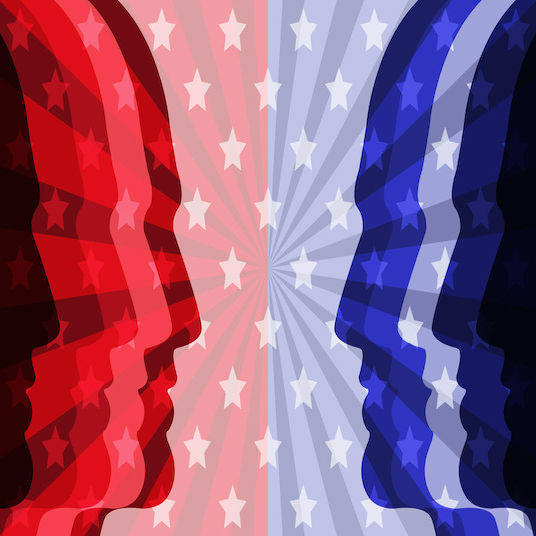 At This stage, we are used to polarization in politics, with Red- and Blue-America divided on nearly every policy issue we can imagine. But there is a growing realization that this polarization isn’t just politics. Instead, the “tribe” established by our political leanings will also increasingly determine where we live, what networks we like, what music we listen to, what we do in our free time, whether and how we worship and, based on some new survey data, where we shop as well. A recent Axios-Harris poll looked at corporate reputations. Using a combined sample of nearly 25,000 respondents, the group asked open-ended questions to identify companies with the best and worst reputations, and also asked participants to rank the 100 most visible companies. The survey results show that corporations vary in popularity based on political leanings of their customers. Those companies that are disproportionately favored by liberals include Target, Google, Twitter, Kraft-Heinz, Starbucks, Tesla, and Volkswagen. On the other hand, those favored by conservatives include Papa Johns, BP, Goldman Sachs, Chick-fil-A, Home Depot, Nestle, and of course, the Trump Organization. Axios is hosting an interactive chart of the results, allowing users to see specific percentages for all the companies evaluated. While company favorability rates between political groups seems to be comparable for many companies, the top 10 lists for Democrats and Republicans include only two names in common: Wegman’s and Publix supermarkets. And if the U.S. Government were a company, it would be one of the less-favored ones by both parties, though somewhat more favored by Republicans at present. For companies involved in litigation, their favorability matters. The possibility that these popularity rates can be ideologically loaded is something the companies should look into. In this post, I’ll share some implications of the data as well as the broader issue of anti-corporate bias in polarized times. In our surveys and our mock trial research, we will often ask about anti-corporate attitudes in general. What we find is that those attitudes are high. For example, when we asked in our 2018 National Juror Survey, “How often do you believe a large corporation would lie if it could benefit financially from doing so?” fully 87 percent answered “often” or “almost always.” So, those defending some of these well-known companies in court might assume that their favorability is low because they are big companies. However, a look at the favorability of specific companies presents a brighter picture. For example, General Motors’ overall favorability is 70 percent, and Honda’s is 76 percent. interestingly, even Volkswagon, the company that just a few years ago was mired in scandal over purposeful attempts to trick environmental emissions tests, has recovered with 70 percent favorability, even higher among liberals. Attitudes about big companies are going to vary, not just by the company, but also based on the venue and based on the time period. For that reason, when you’re involved in litigation in which the baseline views on the corporation are likely to matter, then it is a good idea to conduct a focused and timely survey in the actual venue. Particularly with the advent of online recruitment, community attitude surveys are now a very economical way to get customized answers to the questions you have about your jury pool’s view of the parties and the general issues at stake. Having that data is useful for case assessment and, if the case does go to trial, the results can be used as a template for jury selection. You might think that biases against large companies apply mostly to those companies that are big enough to be household names. In contrast to that assumption, it seems to be the case that these biases matter more when the company’s name isn’t a familiar one. The reason for that, as I noted in a recent post, is that when the company is familiar, then it will be the views of that company that matter more than any generic bias. However, when that company is unfamiliar, but is simply understood to be a big company, then jurors’ general views of what big companies are like will be more decisive in determining that reaction. Ultimately, the rule of thumb is not to presume goodwill or favorable attitudes in your pool. It is always a good idea to check.